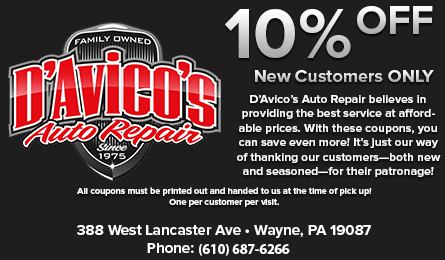 D’Avico’s Auto Repair believes in providing the best service at affordable prices. 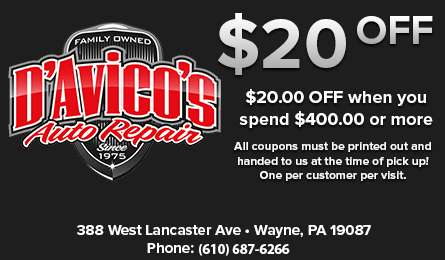 With these coupons, you can save even more! 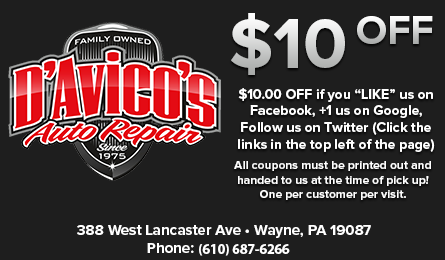 It’s just our way of thanking our customers—both new and seasoned—for their patronage! Click Here to Learn About Our Free Loaner Cars and Customer Referral Program!